Apple has announced the new iPad will be on sale at Apple's retail stores on Friday from 8am local time. The announcement applies to 10 countries - the US, UK, Australia, Canada, France, Germany, Hong Kong, Japan, Singapore and Switzerland along with Puerto Rico and the US Virgin Islands. You can also check out our guide to which phone networks are getting the new iPad in New iPad: where can I get it? The new iPad comes in the usual three standard memory variants - 16, 32 and 64GB. US pricing first: 16GB for $499, 32GB for $599 and 64GB for $699. That's £399, £479 and £559 in the UK. For Wi-Fi + 4G, then it's $629, $729 and $829 respectively, or £499, £579 and £659 - though the faster data will be of limited use in the UK of course. 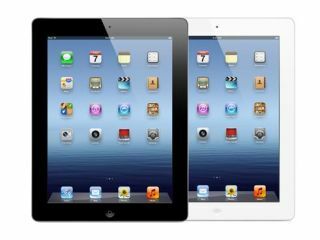 New iPad vs iPad 2: which should you choose? The iPad 2 will remain on sale in a 16GB version for $399 (Wi-Fi) and $529 (Wi-Fi+3G). That will really annoy all of Apple's tablet competitiors - iPad 2 will be £329 or £429 in the UK. From 23 March the new iPad will also be available in Austria, Belgium, Bulgaria, Czech Republic, Denmark, Finland, Greece, Hungary, Iceland, Ireland, Italy, Liechtenstein, Luxembourg, Macau, Mexico, The Netherlands, New Zealand, Norway, Poland, Portugal, Romania, Slovakia, Slovenia, Spain and Sweden. Don't forget to check out our Hands on: New iPad review and, of course, we'll be geting our full review over the coming days.